Be inspired by a trunk full of decorating ideas using consigned furnishings and accessories. 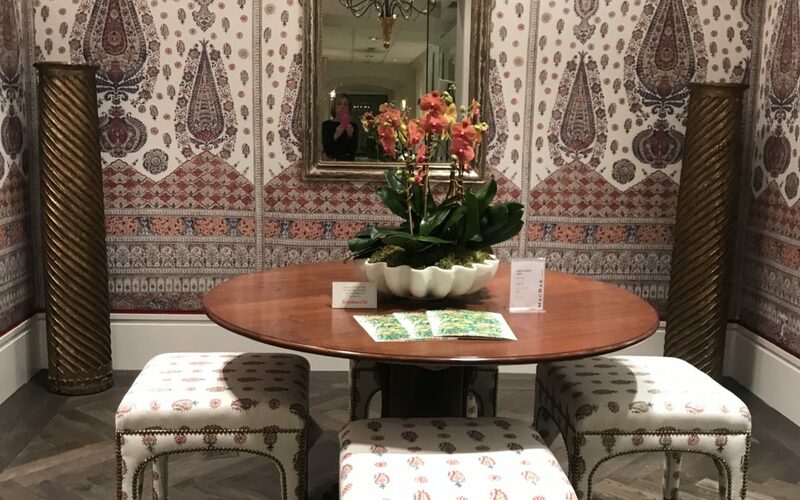 Also featuring fabric and wallpaper samples from Duralee, Kravet, Lee Jofa, Brunswig & Fils, and more. 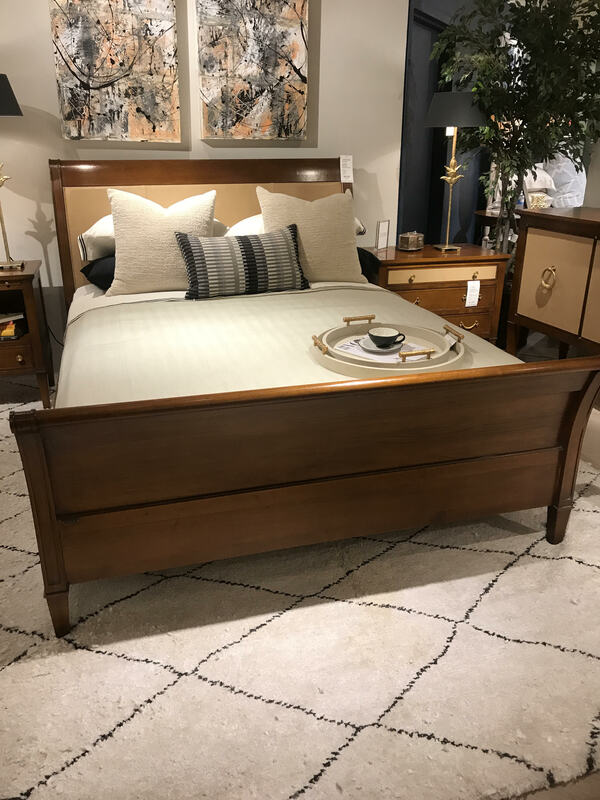 It’s a well known fact that new furniture, unless at the very high end, is manufactured, or mass produced for a look rather than for long life. There was a time when people bought furniture expecting that it would be passed down to other generations. Family heirlooms if you will. Now planned obsolescence is the rule of the day. All you need do is open a drawer of a new, mid price dresser and look at how it fits together. More than likely you’ll find that the front is glued to the sides and the only solid, or veneered portion is the front of the drawer. 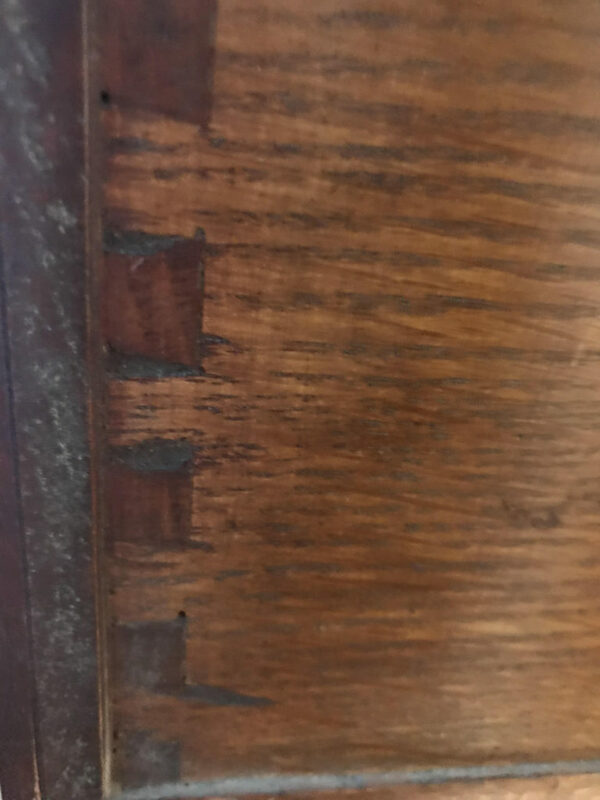 Really well made, (read expensive), new furniture is dovetailed, not glued, and the material used is not pressboard or plywood, it’s the real thing. So, the question is how do you get superior quality without spending a fortune? And for those collectors that love Mid-Century Modern or other specific period furniture the answer is really the same. Consignment shops, antique shops, flea markets, estate sales, auctions, and the like. 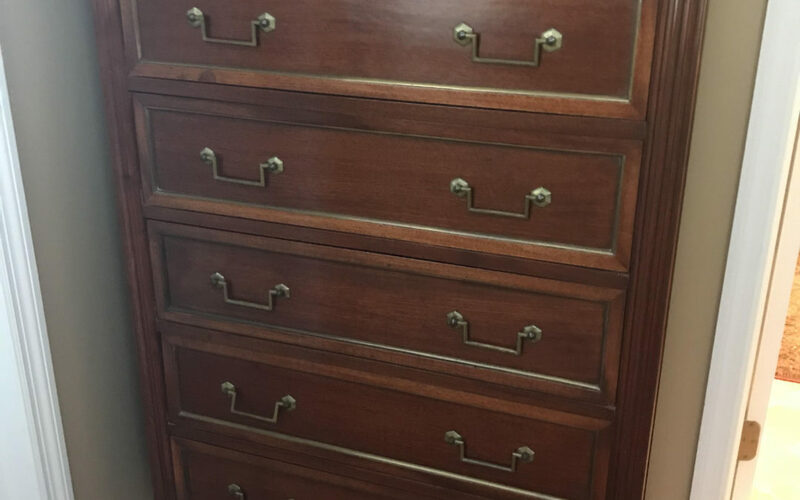 Man’s chest circa 1920, mahogany with cherry trim, brass handles. Style, Louis IVI, made in US. Purchased at Auction for $200.00. Incredible quality. Has stood the test of time. Not refinished. Drawer front attached with dovetailing. This is a drawer from man’s chest. 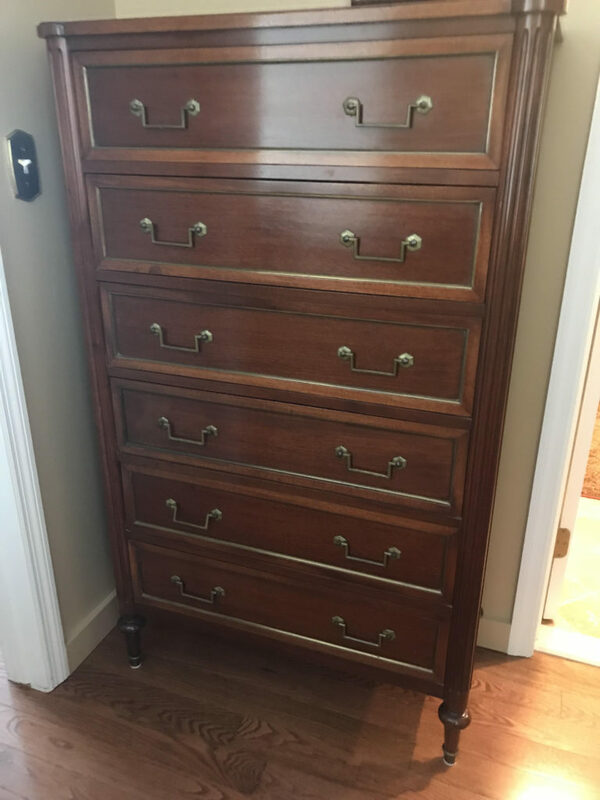 The wood is mahogany as is the dresser. No glue, exemplary craftsmanship. Leg of same man’s chest. Turned and fluted edge detail, brass inlay surrounding the side panels. Imagine the cost of a chest like this today. I’m not sure one could buy one. It would have to be custom. Probably around &5,000. Here is an example of a glued drawer front. 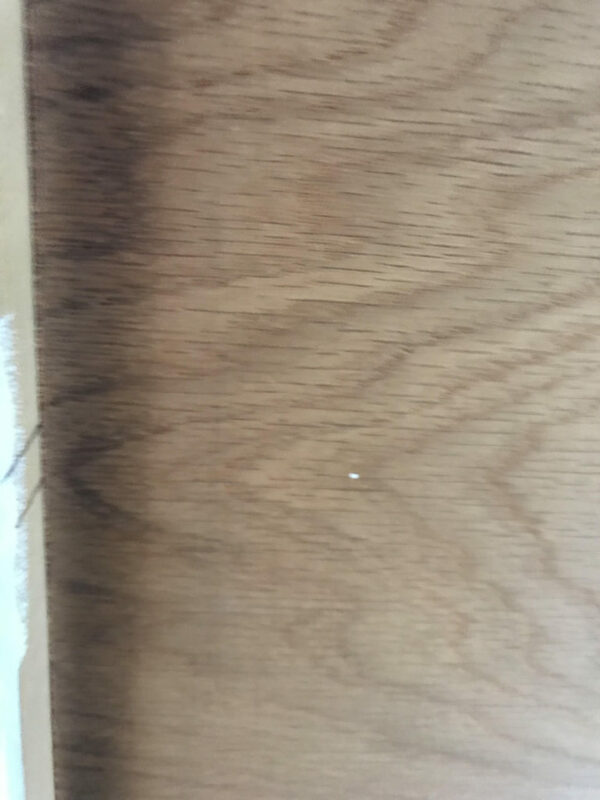 The side is plywood, the glue joint is visible. No dovetailing. Circa 1985, around $300.00 new. No determined style. Probably early American. Which would you rather own? I plan on adding local consignment and antique shops to my tours. Not only can you get a wealth of ideas, but you can also learn to spot real quality. The consignment shops are filled with accessories as well as furniture. And, if you have overflowing closets and cabinets you can consign your unwanted, unused furniture, accessories, clothing, shoes, handbags, and the like. There’s money in it! 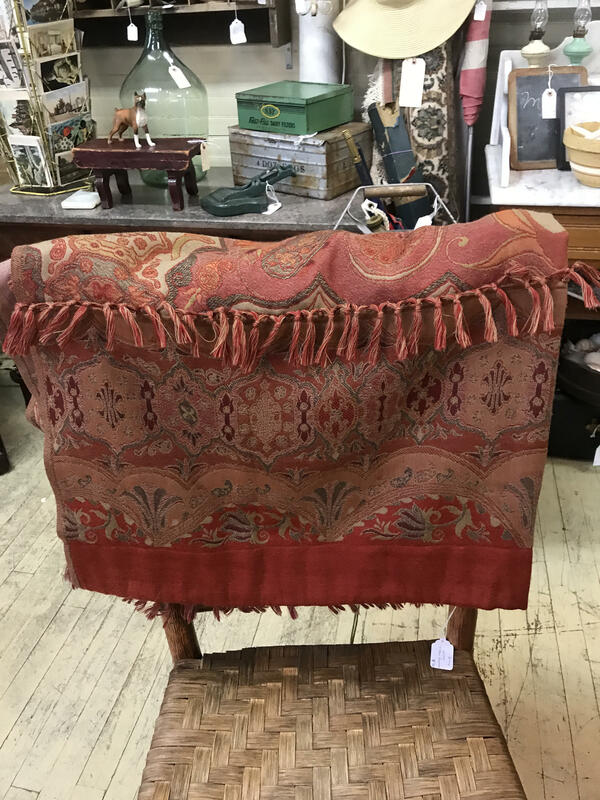 Buying or selling – consignment shopping is a hoot. Antique shops don’t accept consignment but are also a great place for a “find”. 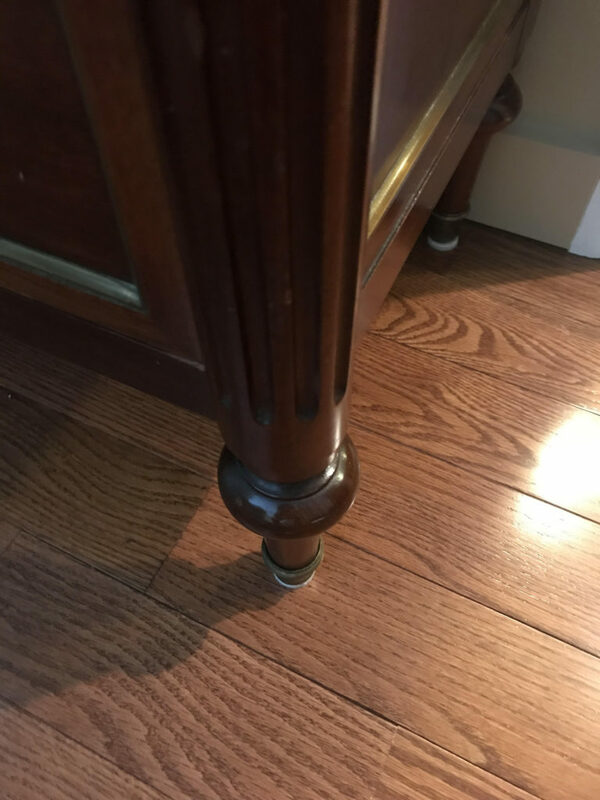 Estate sales and auctions are not for the faint of heart but once you’ve been bitten by he bug, watch out. For anyone who would like a list of local hot spots – send me an e-mail, robi@designer4aday.com, and I’ll fill you in. Let’s pretend we’re on a Designer4ADAY tour and we come across the Jasper Table Lamp pictured here. Jasper Table Lamp. $1,727.00. L.A. Design Concepts. It is “smashing”! 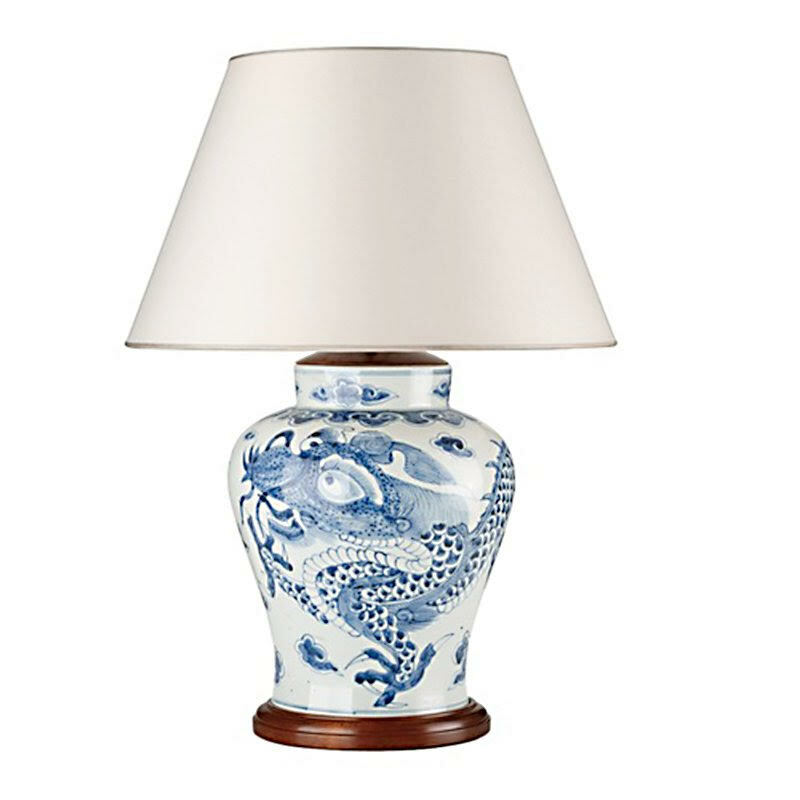 A beautiful Far Eastern flavored Blue and White Ginger Jar styled table lamp with a white shade. It’s quite traditional but would certainly complement any décor; tradition, transitional, contemporary, and certainly eclectic. (See my website glossary for definitions). We “fall in love” with the lamp and get a memo. The memo will tell us the list or retail price of the lamp. Ouch! Really? Yes, really. We walk out of the showroom dejected and wishing for a lottery win. But there is a silver lining. 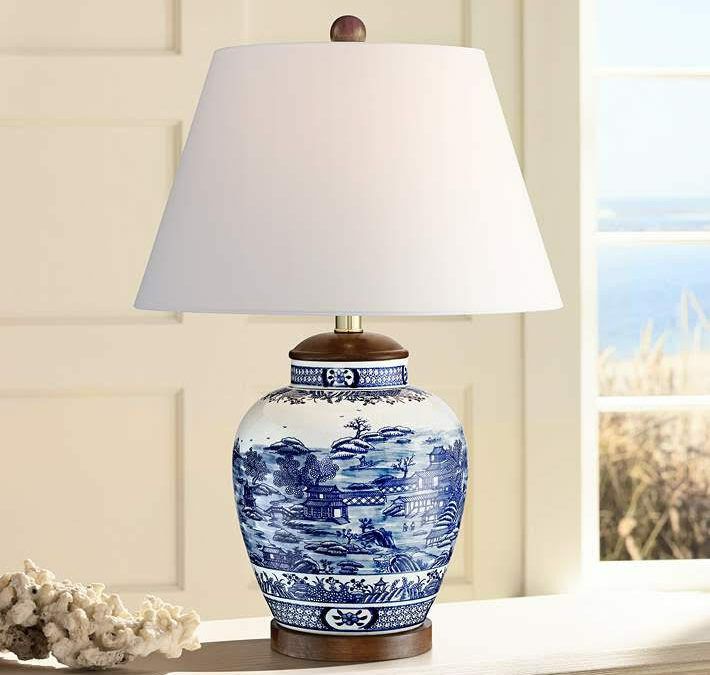 Sarah Blue and White Ceramic Urn Table Lamp. $149.99. Lamp’s Plus. Or should I say the approximately $1,500 that will remain in your pocket. 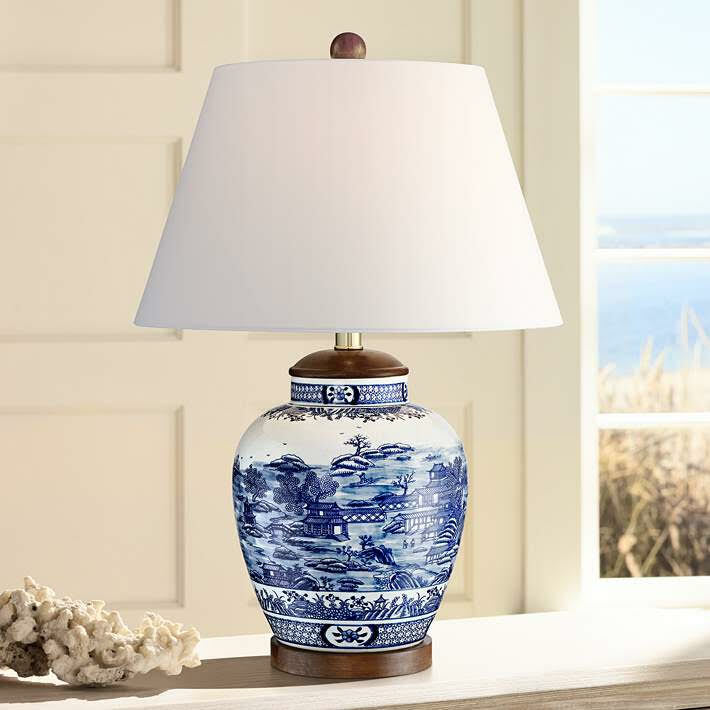 See the Sarah Blue and White Ceramic Urn Table Lamp? This lamp retails for, at this moment in time, $149,99. It is on sale with Lamp’s Plus. The regular price is $229.00. And it looks enough like the Jasper Table Lamp to be a close cousin. Used in the very same space you had in mind for the Jasper, the Sarah will more than do. On a showroom tour ideas flow, examples of the finest fabrics, furniture, carpets, lighting, and accessories are all there for you to see. And if you see something that you absolutely must have and the price tag make you feel faint, keep in mind, you can get the look for less. I’m immersed in Tiny Tweaks right now. From introducing a new color into an otherwise established design to breaking my own design rules. For those of you who saw my posts about “New Rug, New Room”, you saw that the rug had a lot of blue in it. The established colors in the room, a dining room, are pale yellow to brown – all warm, nothing cool. How to incorporate the cool blue into this “earthy” room? I start with bringing the blue to eye level. 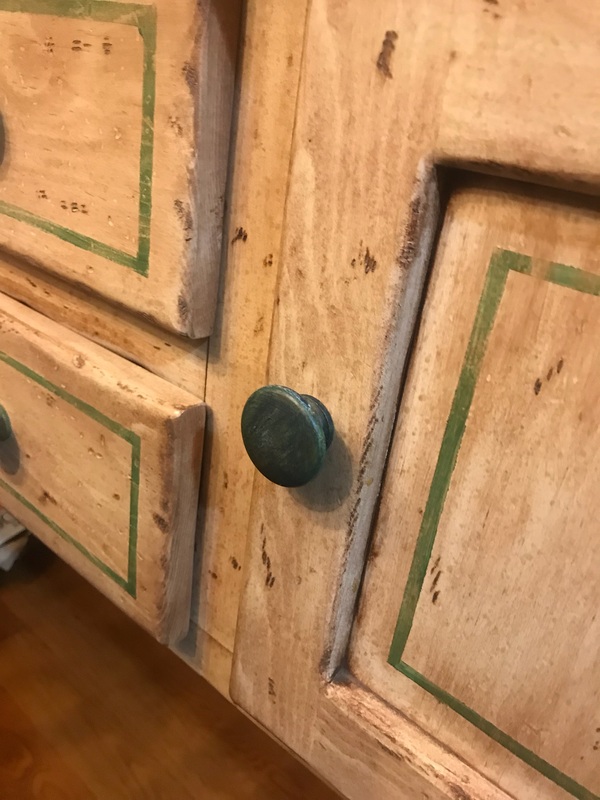 In the photos you’ll see that the cabinet knobs, the paint accent on the side board, and a cabinet in the room are all green. Each of these elements will be washed with blue. See the knob that has a darker, slightly blue hue? It’s working! Not only new rug, new room but new colors, new room. And cool blue seems to work well with warm earth tones. Breaking a rule. I was taught in design school that ceilings must always be white. There are thousands of whites and I’ve been known to use softer or harder ones to compliment a wall color. Now, stuck with a poor tape job on a ceiling, not only are all the walls Benjamin Moore’s “Roasted Coffee Beans”, but the ceiling is as well. Wow, who knew? 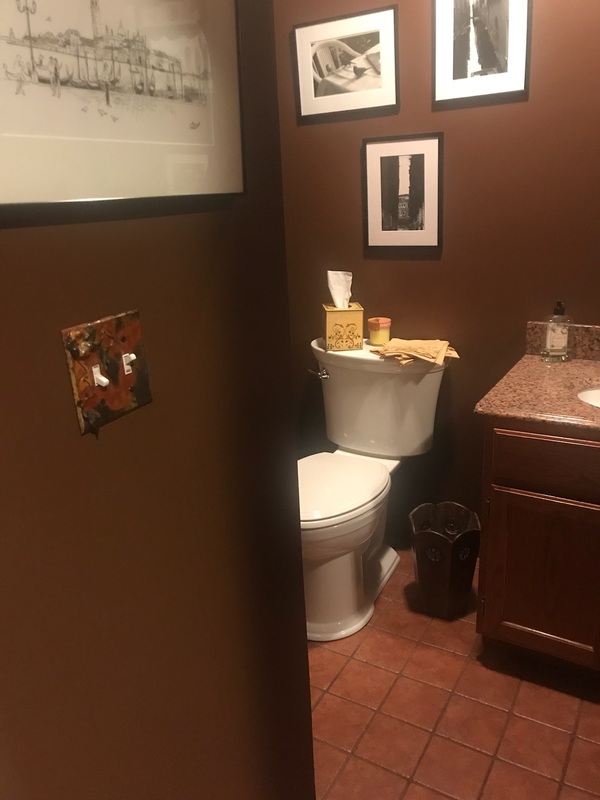 A small powder room got a make over with only a change of paint color. 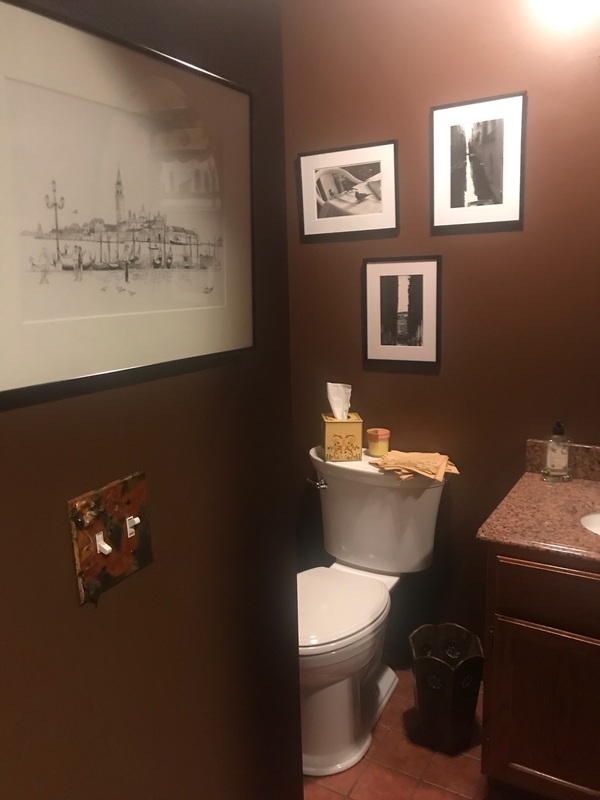 Walls, trim, and ceiling are all a rich warm brown. The result is stunning! I’m going to break some other hard and fast design rules. I’ll let you know as I break them. Tiny Tweaks have tiny price tags. In these cases, without the cost of the rug, the only cost is the paint and the price of a consultation. Paint, DIY! Happy New Year! How is it that once the new year has begun and the bright lights of the Holiday Season are behind us, everything looks dull? Time for change – let’s start with a “tiny tweak”. Let’s take a tour – through your house. Start with the living room. Just stand there and look around. Pretend you’re a guest looking at this room for the very first time. What do you see? Would you be surprised if I told you that if you move the furniture around, maybe repaint, and add some colorful pillows and art you could have a “new room”? Believe it! Tiny Tweaks, what I call quick fixes, can renew a space that would dazzle even you, and it’s your own home. Need to add texture and color? Throw a throw! This one is at The Millbrook Antique Center. Where to begin? Think proportion, color, and ease of use. 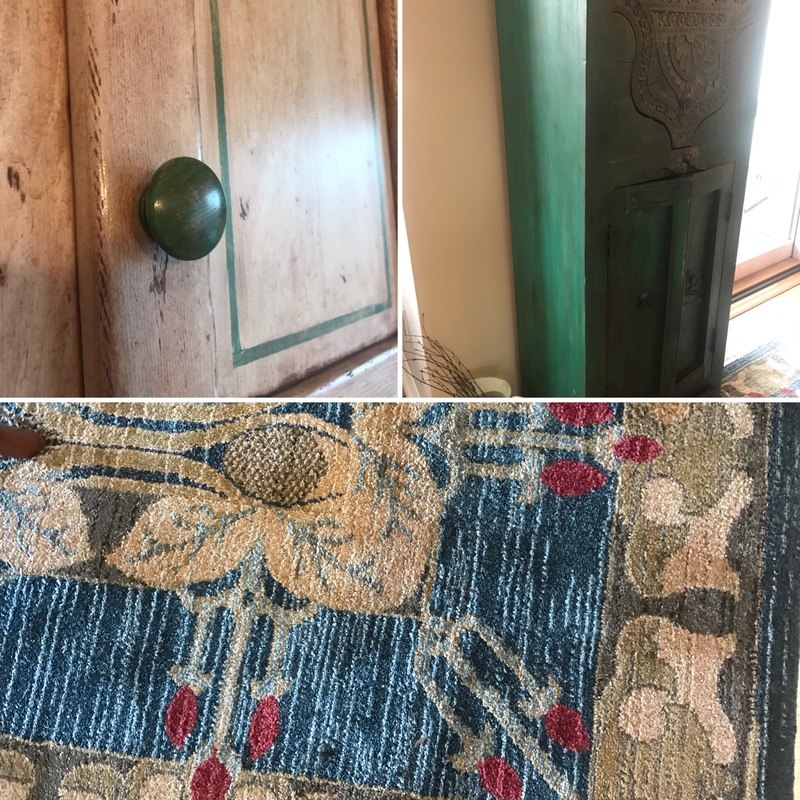 Whether you’re a minimalist, or you luxuriate in an abundance of prints, and textures, art and artifacts – you can make the old look new again. Add a lamp! Calger Lighting is my “go to” for lamps. Can’t quite figure out how to begin? Ask a professional. Did you know that you can hire a design consultant for as little as an hour? A day? or for an entire project? 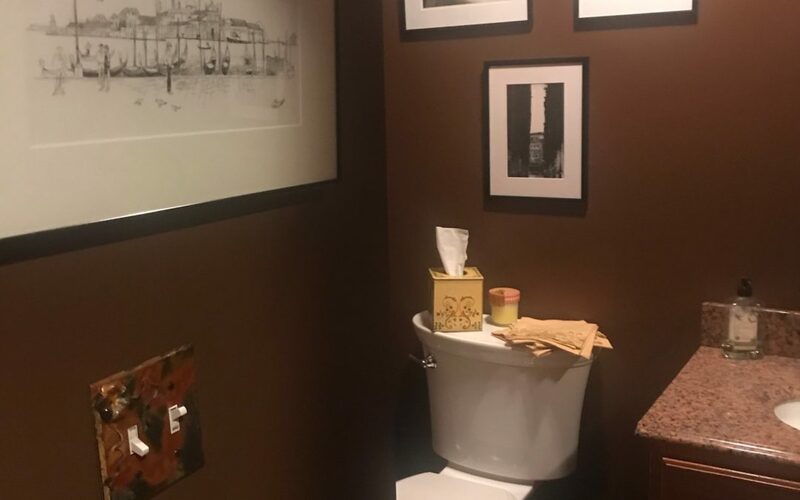 If you think that working with a professional to decorate your home is only for the very rich, or terribly inept, think again. You’d be surprised by what you can do in an hour. Try a tiny tweak. Treat yourself to a “quick fix”. 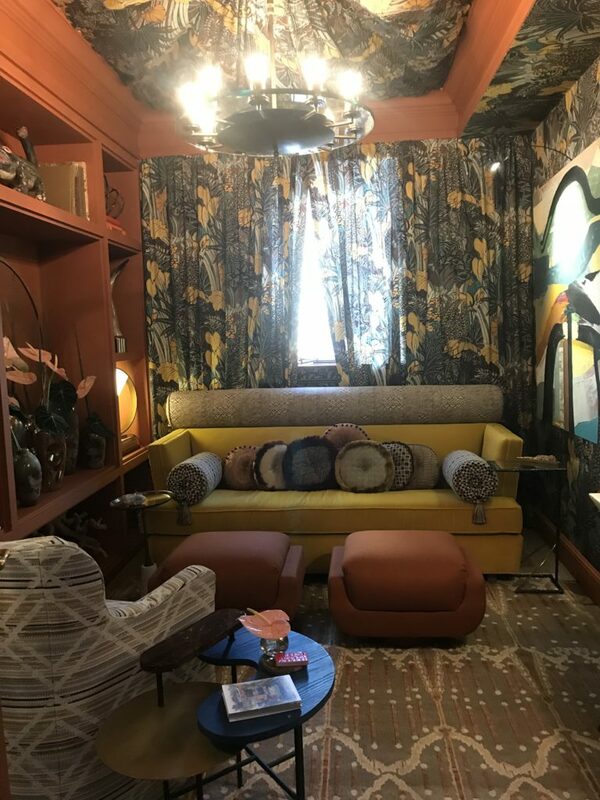 Call me..
And if you’d like to see all the design elements you can imagine, displayed in the most imaginative ways; ways that you can adapt for your own spaces – take a tour with Designer For A Day. Our launch on November 4 was great – great people, great venue, (Clinton Vineyards) www.clintonvineyards.com, great wine, and great food. Thank you to everyone who attended and to all of those that sent best wishes. 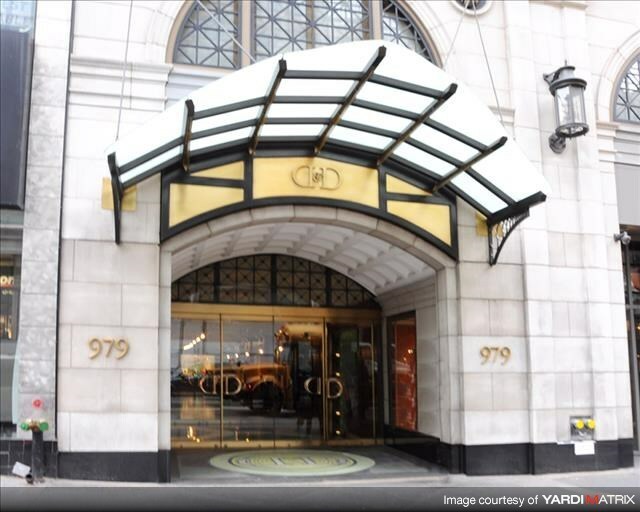 A tour snapshot: My tour day started at 6 A.M. – met at Grand Central in NYC at 10, (note: we can meet at one of the showroom buildings), walked to the D & D Building, www.ddbuilding.com at 979 3rd Ave, and went from showroom to showroom – coffee here, tea there, lots of conversation with total strangers who suddenly become friends. Fabrics, some pretty funky wallpapers, and some horrendously expensive ones as well. Lighting fixtures, and rugs. Rugs that would make you cry to walk on, chairs that we collapsed in, and ideas that could fill a house. And lunch. And more till, drooping, we all went home. This never gets old. I have an eye for the new different, an appreciation for the tried and true, and the ability to pull it together and share it. And I can get it for you wholesale! Showrooms visited: Kravet, www.Kravet.com Fortuny, www.fortuny.com THG Paris, www.thg-paris.com Warp & Weft, www.warpandweft.com Studio Zen Wallcoverings, www.studiozenwallcoverings.com Forbes & Lomax, www.forbesandlomax.com Knoll, www.knoll.com Clarence House, www.clarencehouse.com (Artist Kazumi Yoshida shows here, www.kazumiyoshida.com), and more. And then as a treat to myself I visited Holiday House at the Academy Mansion. Holiday House New York, www.holidayhousenyc.com celebrates 10 years of exquisite designs created by the top interior designers in the industry while supporting the fight against breast cancer. What a couple of days! Stay tuned for new scheduling. Visit D4AD on Facebook and Instagram. Happy Holidays! An interior design show room tour offers not only an opportunity to see, but also an opportunity to touch and feel. You need to be there, to be there. To be there you need to go there. Once there, the tactile experience, that is the experience of being connected by the sense of touch, overtakes the vocal and visual signals as the tactile signals intensify. 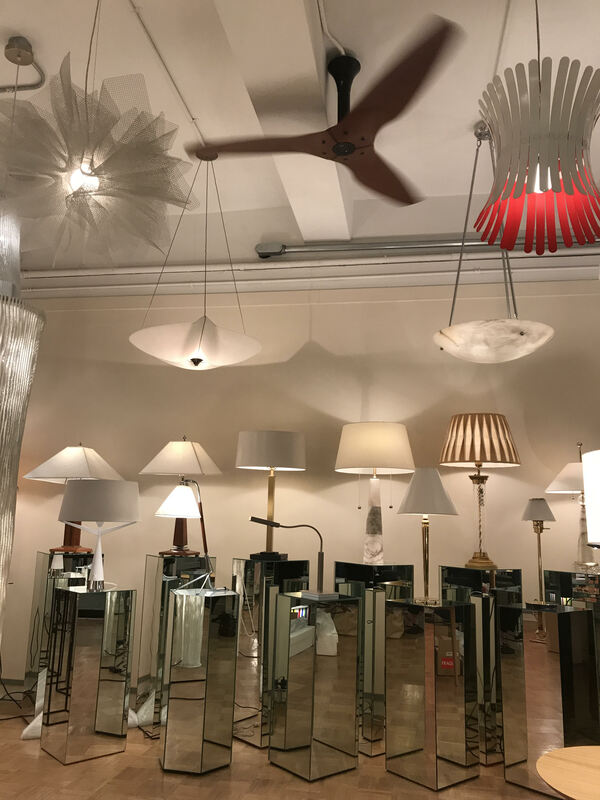 With an eye for the new and different, and the tried and true, a showroom tour is a treat for the senses – and “I can get it for your wholesale”. Even if you have no intention of buying a thing, visiting the showrooms is a treat in itself. The next scheduled tours are November 20th and 21st. Yes, there will be two. Demand is high! If requested there will be an individual tour available on November 14th. Don’t forget the launch on November 4th, 2 – 4 P.M. Clinton Vineyards in Clinton Corners, NY. What can designer4aday, D4AD, do for you? Make the unaffordable affordable (discounts, look a likes)! Make home decoration, design – even construction and renovation easier.